Some simple tips from Scott Cranfield on how to maintain your score and your swing in wet weather. Is there anything more frustrating than hitting a good drive only to find your ball has come to rest in a divot? 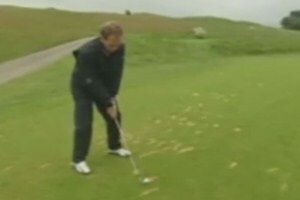 Here, Scott Cranfield explains what to do if you find yourself in a divot. In this video, Justin Rose explains the fundamentals on how to deliver the perfect, killer punch shot. Scott Cranfield explains what you should consider when you find yourself in trouble of the tee and how to get back in play. 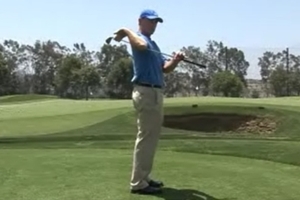 Scott Cranfield explains a couple of changes to make in your swing when facing a stiff breeze. 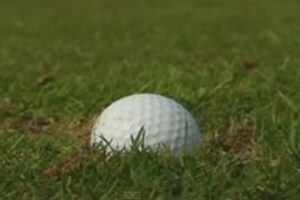 Whilst we all aim for the fairway, even the best golfers in the world hit it in the rough three or four times a round. Justin Rose explains what to with a good and bad lie in the rough. 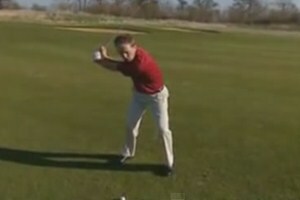 Justin Rose explains a simple trick he uses on Tour to deal with hitting a bad shot. 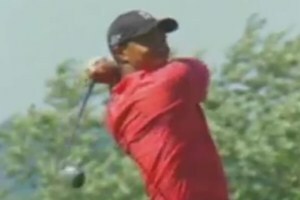 In this video, Scott Cranfield explains Tiger Woods' mental tricks that help him react to both good and bad shots on the golf course. Scott Cranfield recounts an incredible tale of mental strength as he explains how visualisation works in golf. Scott Cranfield explains a practice Tiger Woods used as an amateur that involves completing a scorecard before you start a round. In this video, Scott Cranfield explains a 3-swing drill that will add more variety to your game inside 100 yards. Scott Cranfield explains a simple tee-peg drill that will help you improve the way you strike your chips. Hit it well and you'll be the envy of your partners. Hit it wrong and you'll need a calculator to work out your score. Let Justin Rose explain how to hit the flop shot. 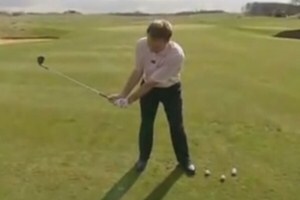 It is one of the scariest shots in golf, but in this video Scott Cranfield explains how to hit a confidence-inspiring, par-saving flop shot. Justin Rose explains how the action of chipping is very like throwing and how understanding that can help improve your short game. Scott Cranfield explains the importance of good posture and how you can make a couple of changes to the posture in your golf swing. Justin Rose discusses his approach to on-course body language and how you can trick yourself into playing better by feeling better. Justin Rose explains how he shapes the ball in the air and what you can do to hit a draw or a fade. Scott Cranfield explains a simple, one-two drill that will help you deal with pressure situations. A couple of simple tips from Scott Cranfield on how to properly release the club at impact and swing without fear. 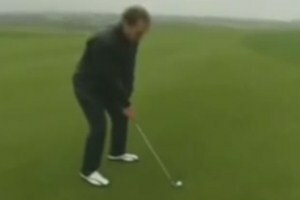 With a little help from Severiano Ballesteros, Scott Cranfield explains a unique drill designed to improve your tempo and rhythm. In this video, Justin Rose explains what he does when he's trying to reach a par-5 in two and get an extra 10 to 15 yards off the tee. Every good swing begins with a good takeaway. 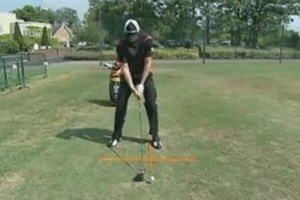 In these videos, Justin Rose and Scott Cranfield offer a couple of tips on getting a smooth, aligned takeaway. Scott Cransfield explains how you can improve the transition between your back swing and down swing and swing it like a Tour pro. Scott Cranfield explains a simple drill you can do on the practice green that will improve your short putting. Justin Rose discusses how he approaches putts with a lot of break and explains a drill he thinks could help your putting. 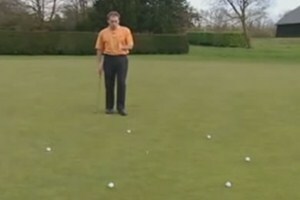 Scott Cranfield helps you improve the feel and control of longer putts thanks to his 5 to 10 minute putting drill. Justin Rose explains how Tom Watson overcame his "choker" reputation and how learning to breathe can help you learn to win. 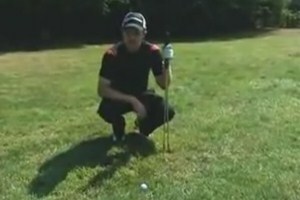 From the price of a £1 coin, Justin Rose will teach you how you can have a smoother putting stroke. In this video, Scott Cranfield talks you through how to properly read a putt and improve your ability to see and judge breaks. 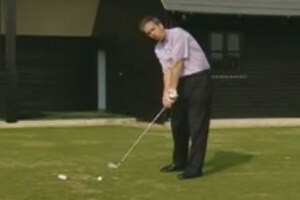 Whilst Scott Cranfield's unique drill may get you some funny looks at a busy driving range, it could be the key to an effortless, tension-free golf swing. Often the cause of a three-putt is a poorly paced first putt. In this video, Justin Rose explains how to improve the distance control of longer putts, preventing those frustrating bogeys. Justin Rose explains how to make sure you have the ball positioned correctly off the tee to hit it longer and more accurately. You've heard the saying "drive for show, putt for dough", well Justin Rose takes that literally with an interesting putting drill. 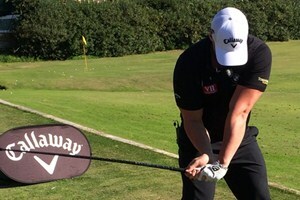 Scott Cranfield explains how similar short chips are to putting and explains a drill you can do with your putter to improve your chipping. Justin Rose believes that bunker play is one of the best parts of his game. 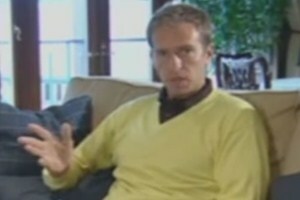 Watch as he explains how you can be a good bunker player. Watch as Justin Rose explains the slightly odd technique he uses to judge which club is best to use from a fairway bunker. Scott Cranfield explains the difficulties of a wet bunker shot and suggests that you might be using the wrong club when it comes to wet bunkers. Play it right and you can save par, play it wrong and you can card a very high number. Scott Cranfield explains how best play to a plugged bunker shot. Whilst most understand it is important to warm up, few know the correct why to do so. 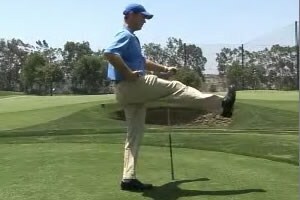 Here, Scott Cranfield shows you the best exercises to do before you tee off. Justin Rose explains the importance of a pre-shot routine and outlines what he does before hitting a shot. Justin Rose explains how to you can make the most of your practice sessions with a couple of simple tips. 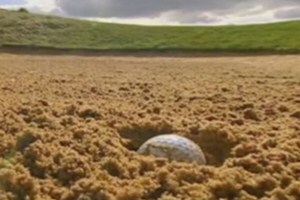 Few things in golf are more frustrating that discovering you ball is plugged in a bunker. 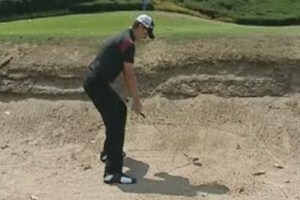 In this video, Justin Rose explains a different approach to the traditional method of playing a plugged bunker shot. Normally one camera is enough to put your average tour player off, so how do you think they would fair with 60 going off during a bunker shot? 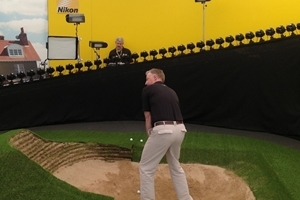 As part of their stand at Muirfield Nikon set up 60 Nikon D800 SLR cameras to create a 3D image of your bunker swing. The latest stage of my custom TPI exercise program moves from my back to the shoulders in an effort to become even more flexible. What you need to know about behaviour on the course. Fun golf games for 1-4 players and golf society outings. 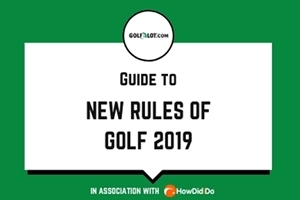 All you need to know about golf handicaps and allowances. Test your golf mind to see if you think like a novice or a tour pro! Automatic shot detection & in depth stats improve your game. See your key swing data on your phone or wrist. 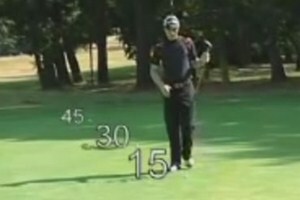 Informative swing tracker with good use of video tips.